Join us! 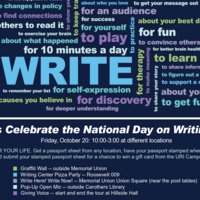 A celebration of the National Day on Writing. Pick up a passport and have it stamped for each event.